Item # 306689 Stash Points: 2,595 (?) This is the number of points you get in The Zumiez Stash for purchasing this item. Stash points are redeemable for exclusive rewards only available to Zumiez Stash members. To redeem your points check out the rewards catalog on thestash.zumiez.com. 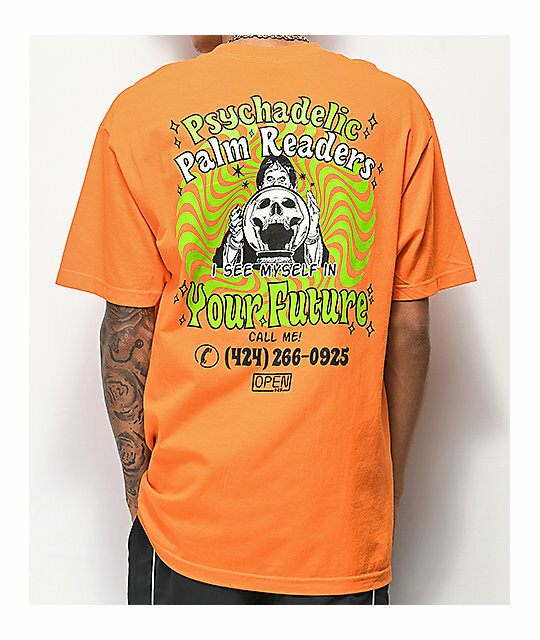 Step into the realm of the clairvoyant in the Psychedelic Palm Readers shirt from Open925. 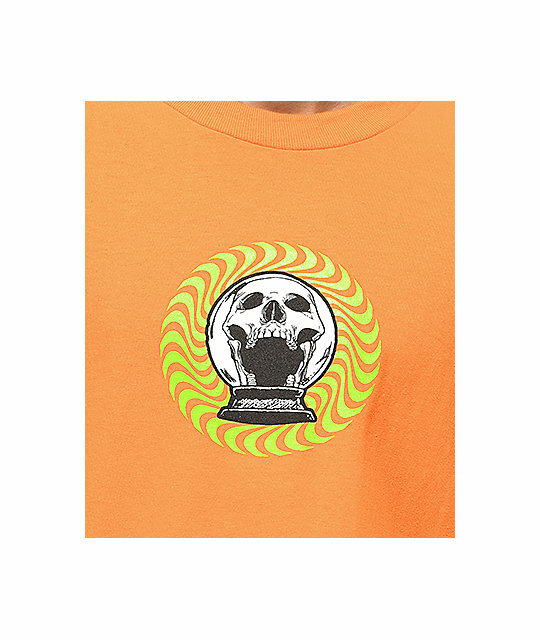 A bright orange, 100% cotton short sleeve tee shirt features a psychic with her crystal ball screen printed on the back with "Psychedelic Palm Readers: I see Myself In Your Future" surrounding. The front is finished with the same crystal ball with a skull showing itself screen printed on the chest. 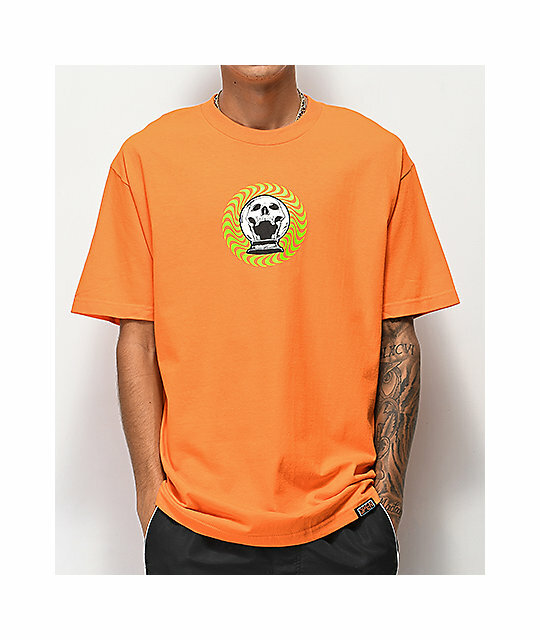 Psychedelic Palm Readers Orange T-Shirt from Open925. Open925 brand tag at bottom hem.